Fantasy Brown - A1 Granite & Marble Ltd.
Fantasy Brown Marble is not your average marble. This beautiful Indian stone is much harder than the typical white marble that are often used in kitchens. In fact, Fantasy Brown Marble is closer to a quartzite in terms of how it will hold up in your kitchen. You can use Fantasy Brown in your kitchen without having to worry about it getting etched or stained easily. With proper sealing, this stone will look like new for many years to come. 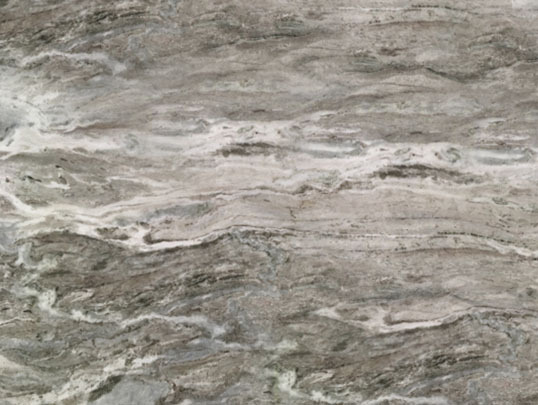 Fantasy Brown has smooth, diagonal lines of translucent gray and white with swirls of faint pastels, making it a great choice for homeowners who want the look of marble but the durability of quartzite. Fantasy Brown stone can vary in color and pattern from batch to batch.